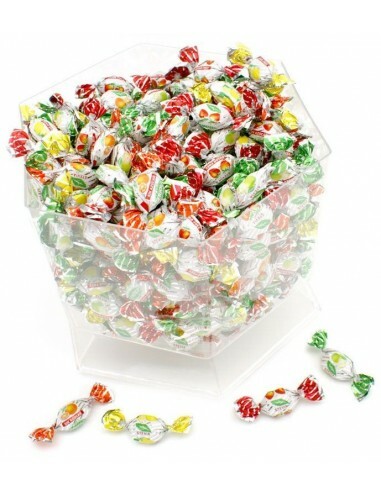 Big transparent chest with 1 kilo of sugar free candies. 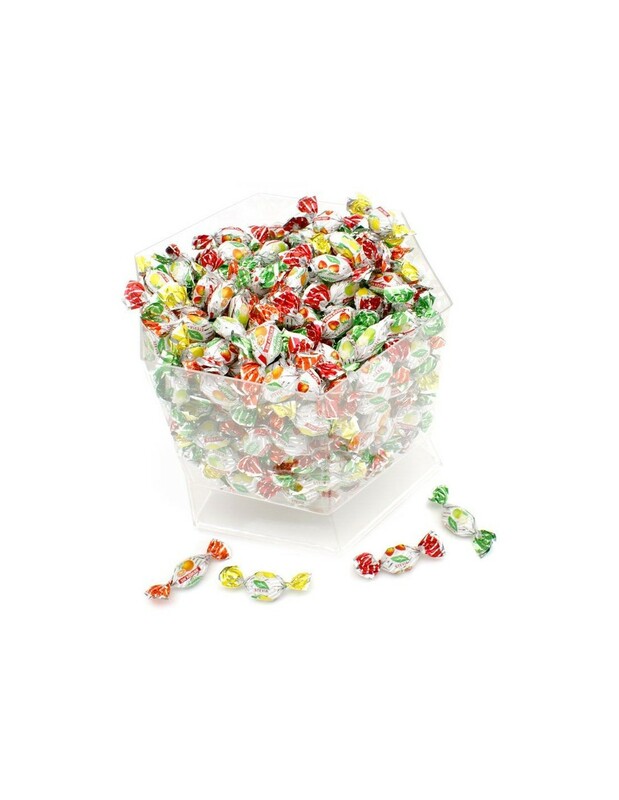 Assortment of sour and fresh fruits in four flavors: strawberry, apple, orange and lemon. Gluten free product with Stevia.